Parking for guests, families with small children, and those needing special assistance is available behind the church building. 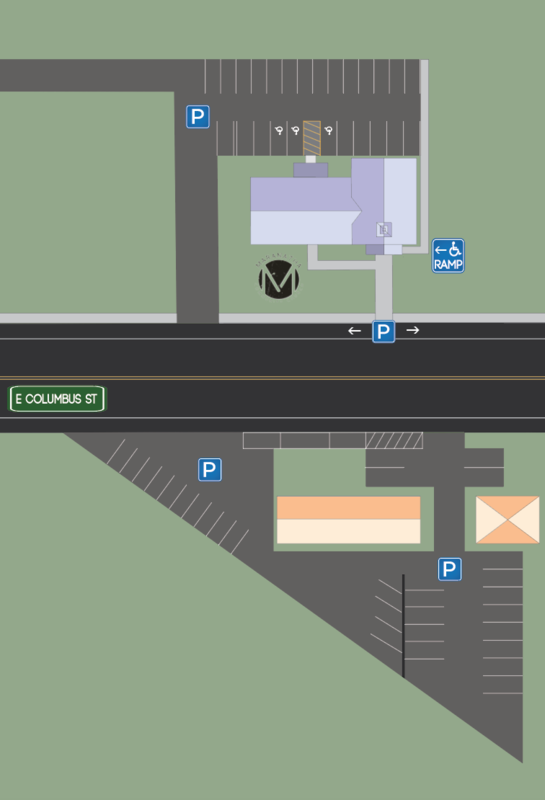 Additional parking is available in the two lots across the street. Street parking is also available on the side of the street near the building. On Sunday mornings, parking attendants are stationed near the back lot as well as the lots across the street. These individuals are here to assist you in finding parking and crossing Columbus Street safely. There is a wheelchair ramp located on the east side of the building that can be accessed from the rear parking lot.